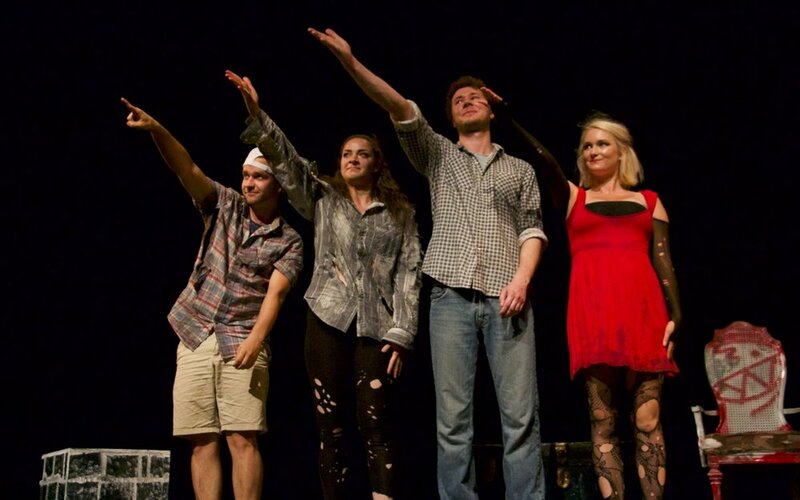 King of the Castle is House of Rebels Theatre's inaugural stage play. 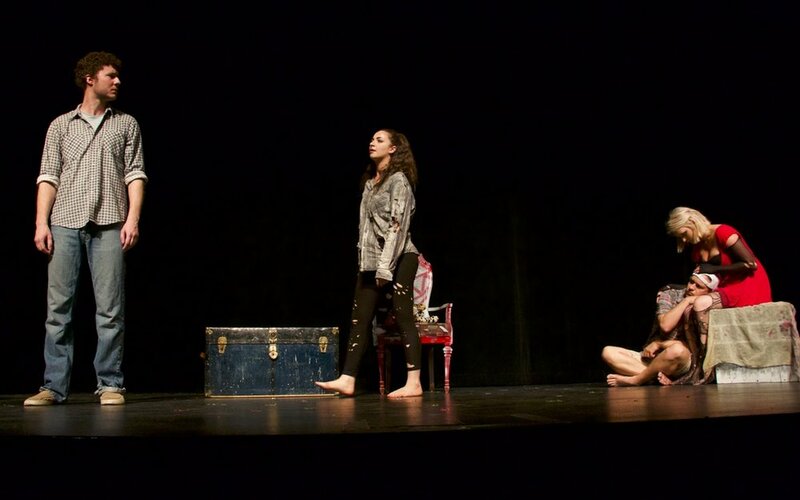 Written by Ross Hammond, it has been in development since 2013 with the dramaturgical support of both Lucy Powis and Alanna Dunlop, and is finally making it's way to the Factory Mainspace Theatre in the summer of 2016 at the Toronto Fringe Festival. 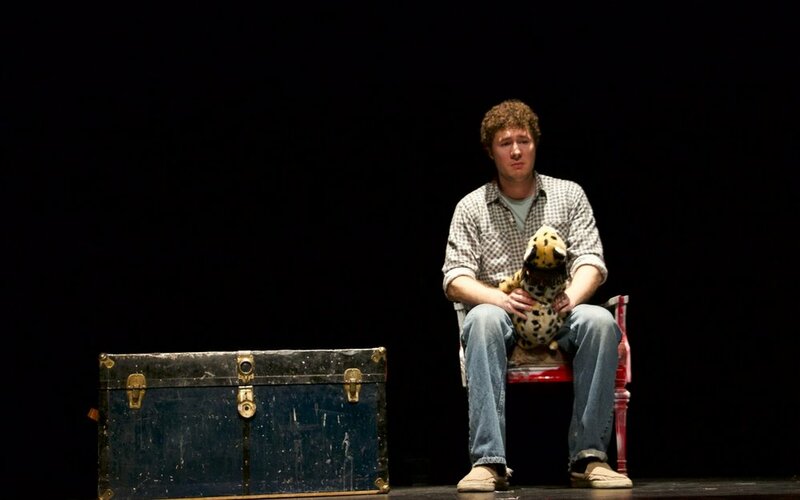 The play is about a man named Gordon dealing with the process of growing up. To do so, he confronts his childhood imaginary friends. Gordon will come to know the deepest, darkest parts of himself as he re-visits what made him who he is. 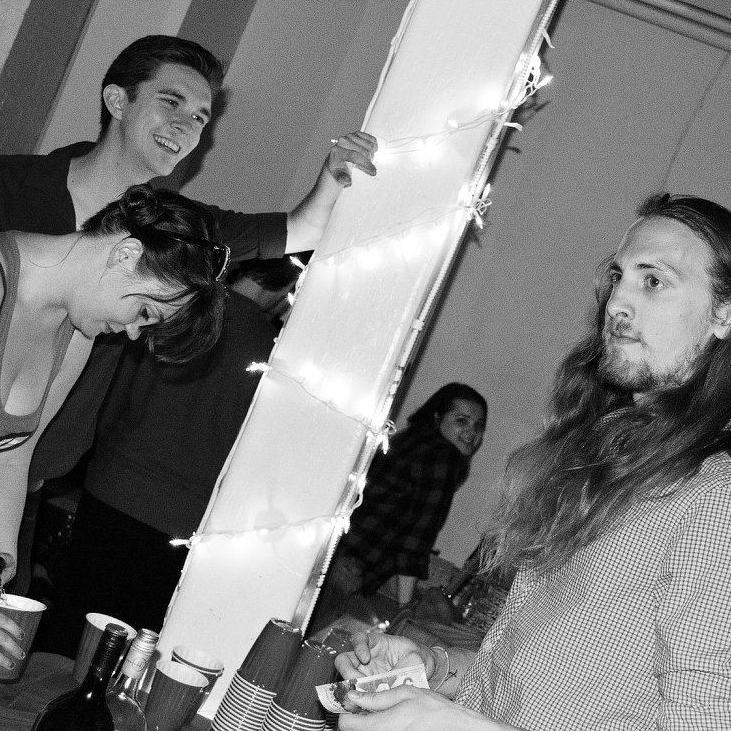 House of Rebels would like to thank everyone who contributed in any way to the success of King of the Castle, including all of our generous Fund What You Can donors as well as Barbara Andrew, our executive producer. 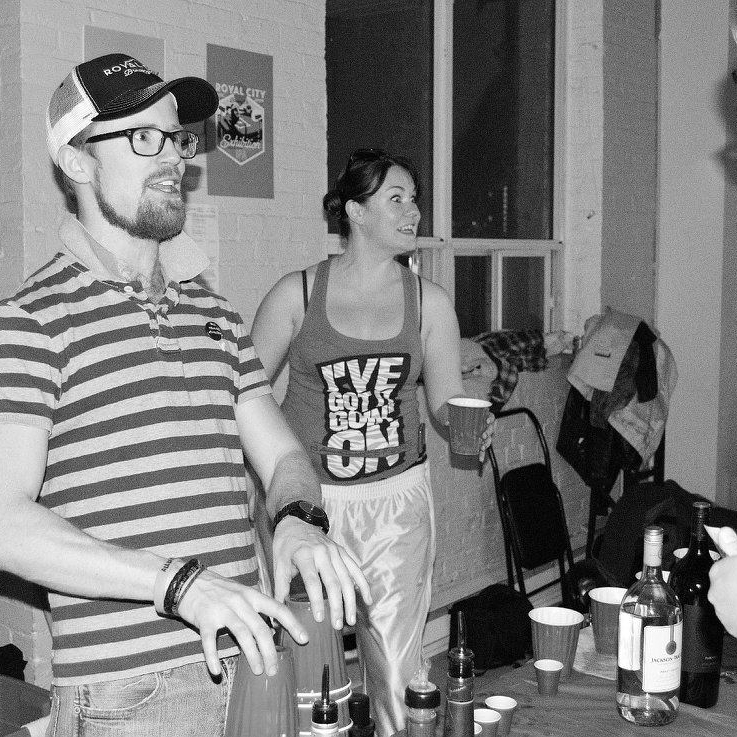 Eric of Coyote Collective and Rachel of Rebels running the show on bar at the House of Rebels & Coyote Collective Fringe Mix Fundraiser! 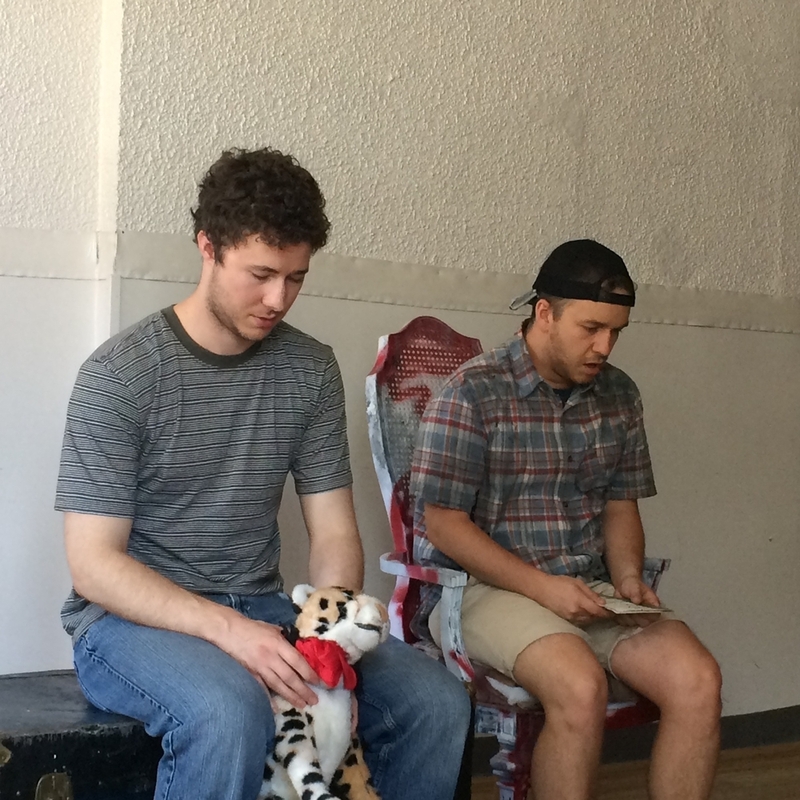 Tyler (Gordon) and Nick (Edgar) during one of our run-throughs. 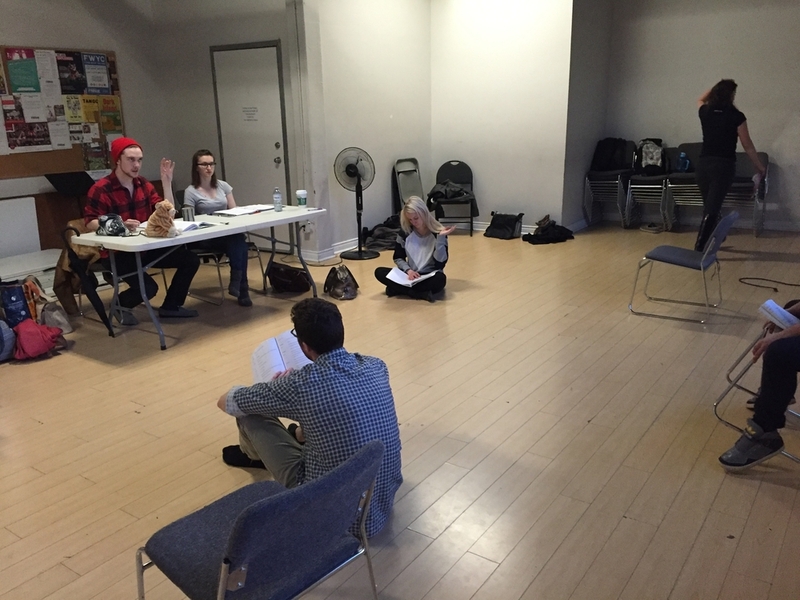 Early rehearsal, featuring Jada (Left), Nick (Right) and Olivia (below) and scripts in hand. 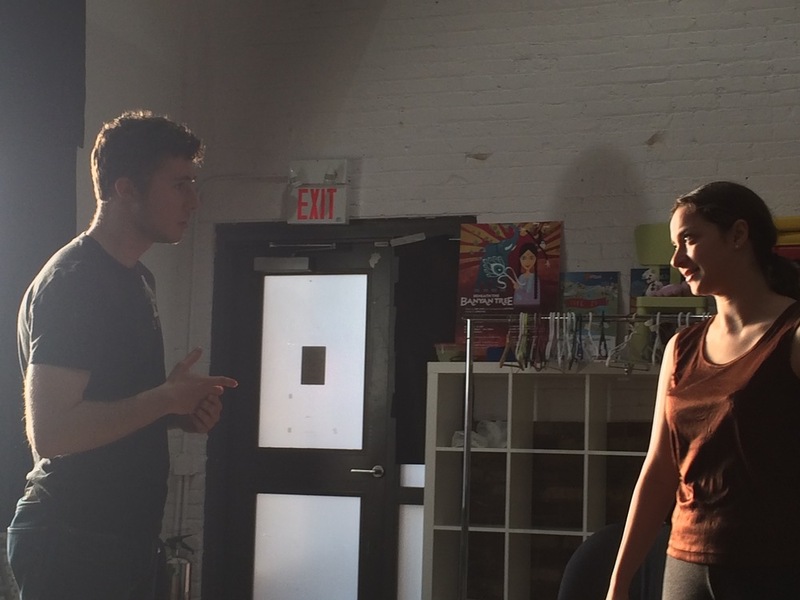 Tyler (left) and Jada (right) during a particularly intense scene, at a moment of intense light.